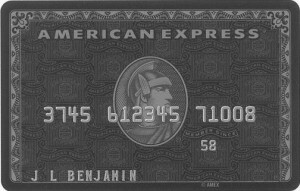 This is a charge card, not a credit card. The balance of this card must be paid in full before the due date. There is nothing special, or unusual about using this card to withdraw cash from an ATM. Something to note, most ATMs have their own, individual single usage and daily limits applied per transaction, so you can’t just go up to an ATM with an AMEX Centurion and withdraw the entire contents.